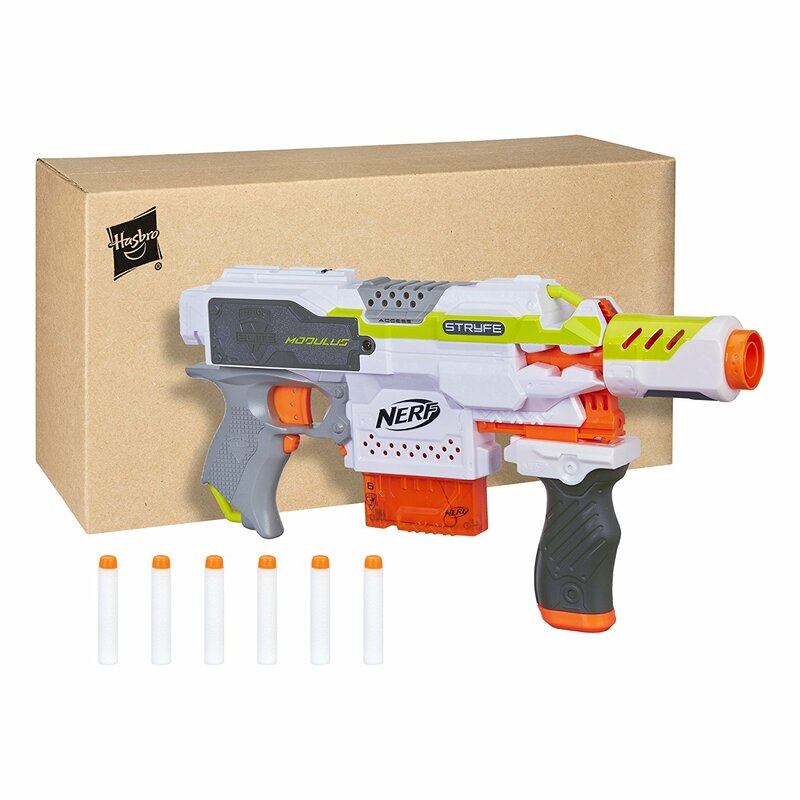 Reddit user ‘Willmenx’ has stumbled across a new Stryfe blaster on Amazon.com. Along with the new Modulus colour scheme, the re-released blaster also includes the original Modulus grip and the Ion-Fire’s barrel, as well as six modulus darts and a six-dart magazine. 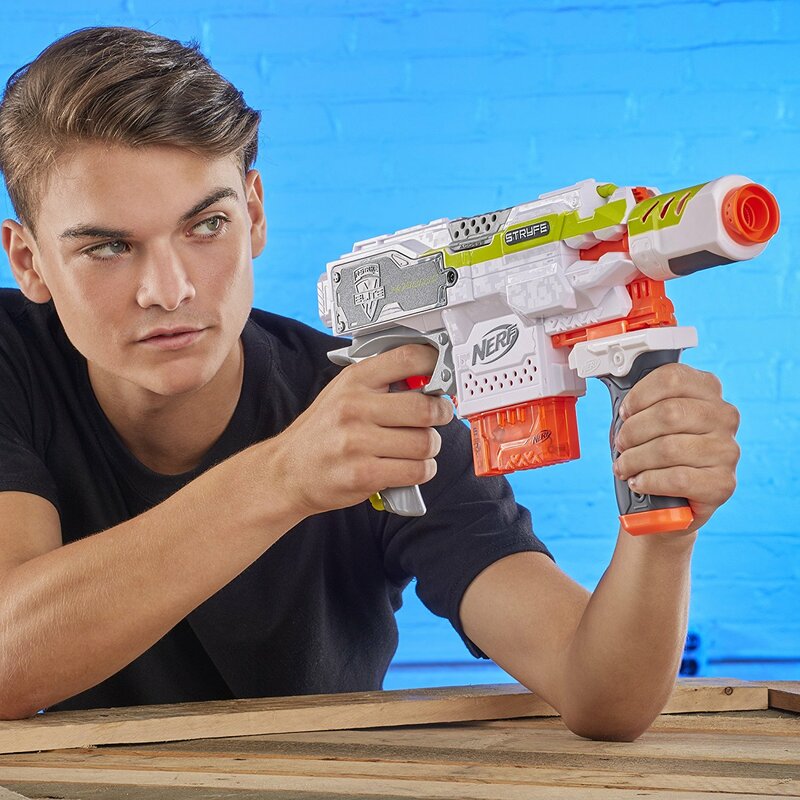 Unfortunately, the blaster is listed as ‘currently unavailable’ and there is no information about its release date or its price. What’s odd about this listing, is that the Styfe is simply packaged in a brown Hasbro box, similar to how you’d buy separate Modulus attachments. 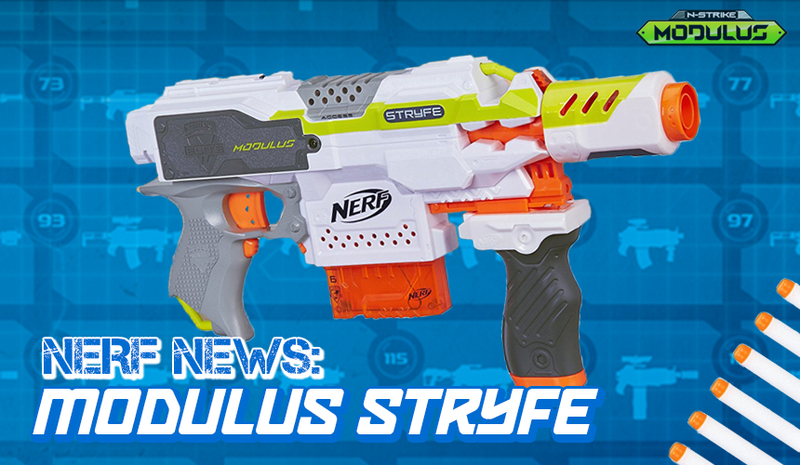 Unless the image is used for placement purposes, the Modulus Stryfe might only be available online!? 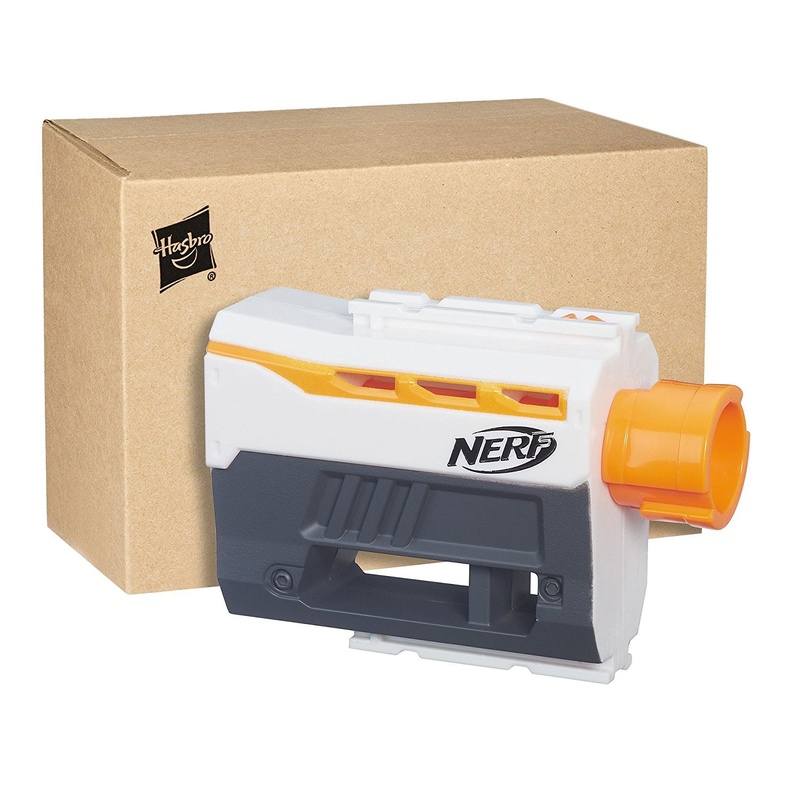 Although, it would be kinda dumb for Nerf to do that considering how popular the original Stryfe was. 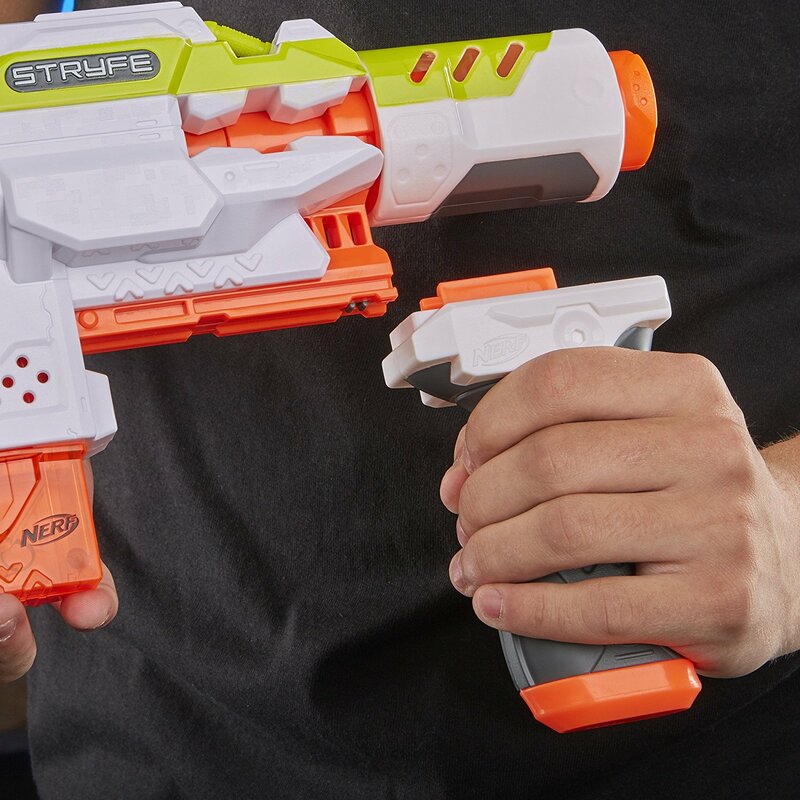 Well, hopefully Modulus Stryfe will be sold in stores and also outside the US. It’s a shame the blaster had to come with such ordinary attachments, otherwise it would’ve been better if it didn’t come with any, to make it a cheaper buy. Anyway, it’s great to see that the Stryfe will be sold again. I’m not keen on the colours but I think everyone is just happy to see the flywheel blaster once more. 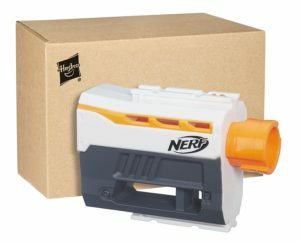 This entry was posted in News/Updates and tagged blaster hub, modulus, nerf, nerf news, stryfe on September 3, 2017 by JJ Reviews. How did you find this???…. You can’t find it on amazon without your link….. 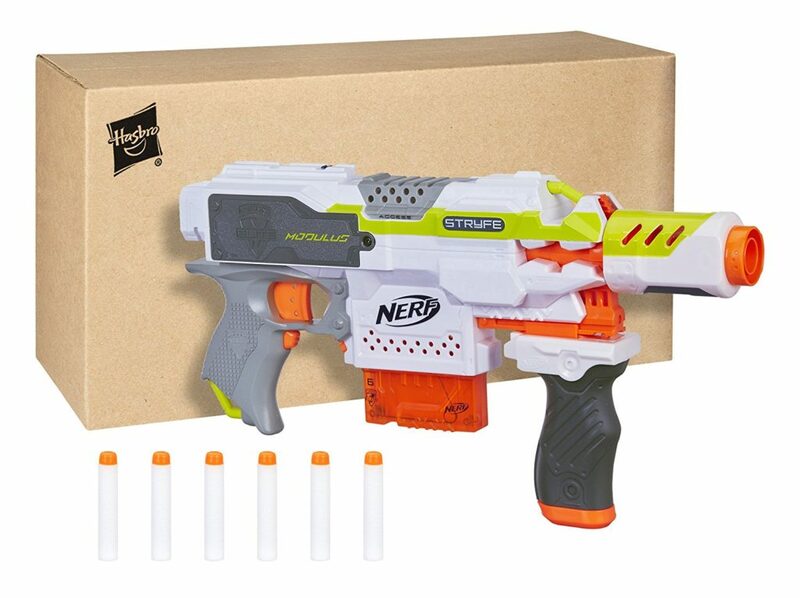 It looks like the Modulus Stryfe’s available for purchase on Amazon.